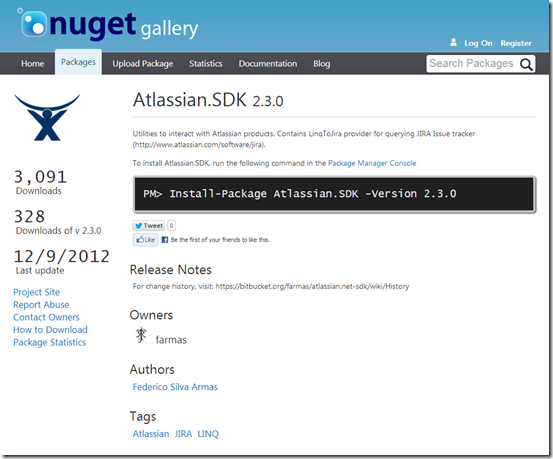 This post will extend the previous post Using jQuery in ASP.NET applications – part 3 MVC. 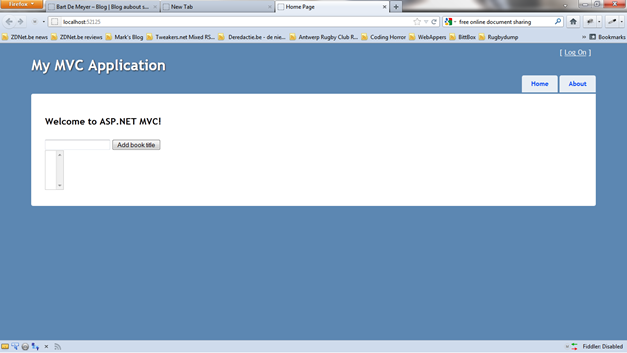 In the previous post we saw how to create a AJAX call to a specific controller in a MVC application. This will work just fine if you have a small amount of AJAX calls in your application. As your application Is growing you’ll notice that the AJAX calls will get stuck between the other controller actions whom return normal views. If you want to share functionality between views you’re have repeat the same code in multiple controllers or point non-related views to your controller. 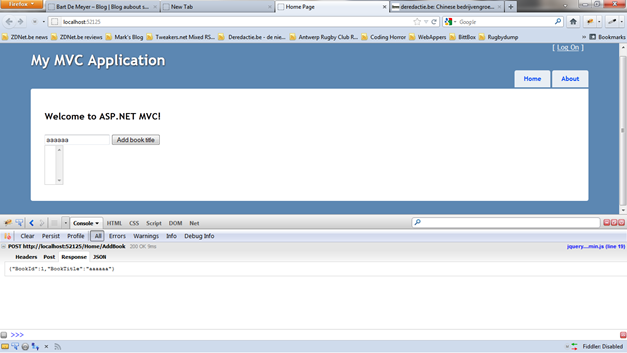 This will technically work but conflicts with the MVC pattern. MVC has a functionality to split up your code in different areas what most of the time is used to split up the administration pages from the rest of your website. Or to reorganize your code to split different use cases. We’ll use this Area functionality to create or own API. 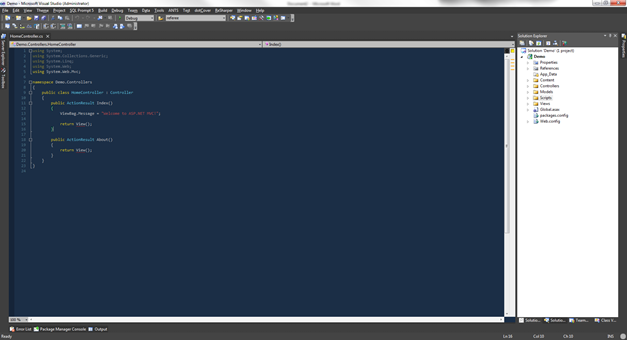 Note: I’ve switched to Visual studio 11 Beta for the demos. 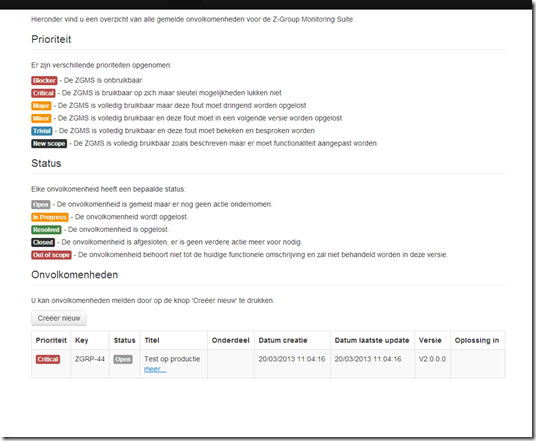 You’ll see the new slick black/white/grey look and feel of VS 1 in the screenshots. 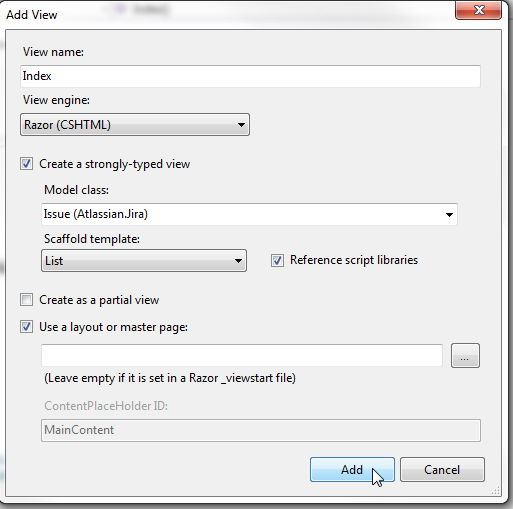 Neither less you can do everything underneath in Visual Studio 2010. Open up the project we created In the previous post. Right click the project and choose ‘Add’. Select the Area option. Give the new area the name ‘API’. 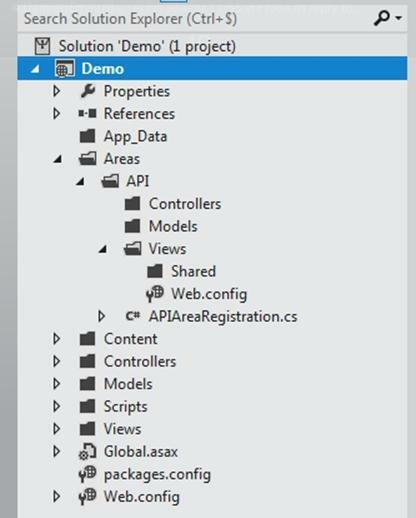 After clicking Add you’ll see that visual studio create an Areas folder within their you’re ‘API’ area. In this area you’ll see the same setup as in a MVC application. You’ll have folders for controllers, models and views. The APIAreaRegistration class visual studio created will register the routes we need to address our area. In the Application_Start method in the Global.asax file we’ll see the AreaRegistration.RegisterAllAreas method that will take care of the registration of the routes of the different areas when available. 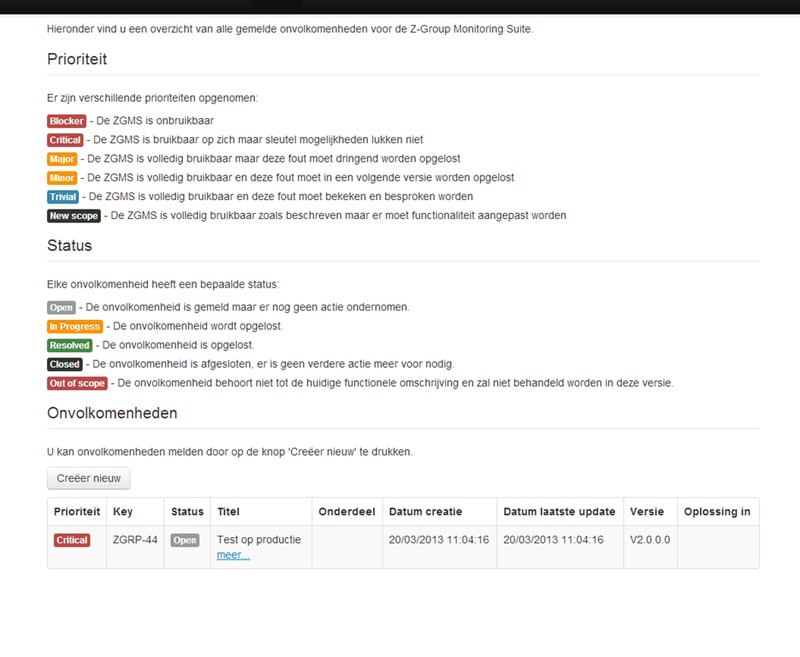 All our AJAX calls are related to handle books, more specific: add book titles. Therefor it is logical to create a book controller in our API. 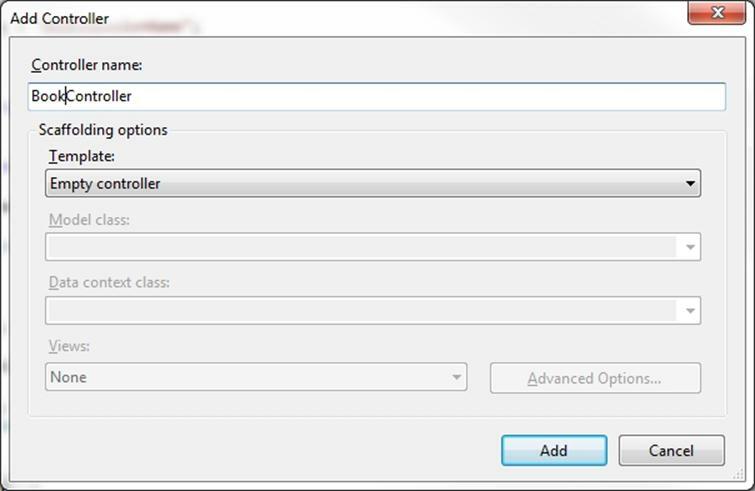 Ricght click on the controllers folder in our API area and choose for Add controller. Name it BookController and choose for an Empty controller. Visual studio will now create the new controller. When created it should contain only an index action. We add the same code we used in our HomeController. 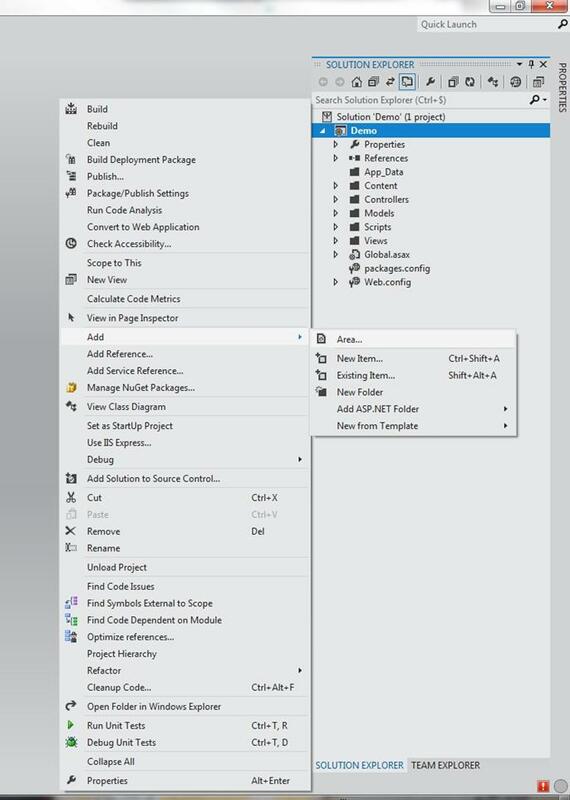 With these small changes and build in functionality in visual studio we can easily create an API for all our AJAX calls. If we, for example, need to query for users by an AJAX call we can create a new user controller in our API area and implement the necessary actions. None of the methods that solely serve AJAX calls are in the other controllers that serve views. We created a nice separation between those. Next on the blog todo list is the implementation of an AJAX call to a WCF REST service. 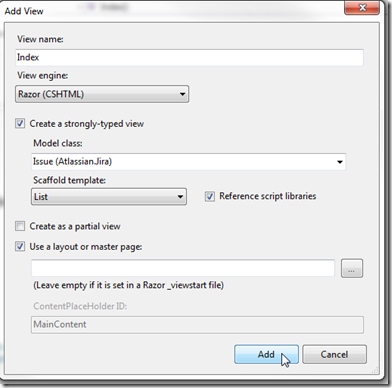 This entry was posted in .NET, AJAX, ASP.NET, Development, jQuery, JSON, MVC 3 on 30 March 2012 by Bart De Meyer. This month we organized a bunch of jQuery Tech sessions for our colleagues at the ABC-Groep where we are working for the company Ace, the Microsoft .NET company of the group. 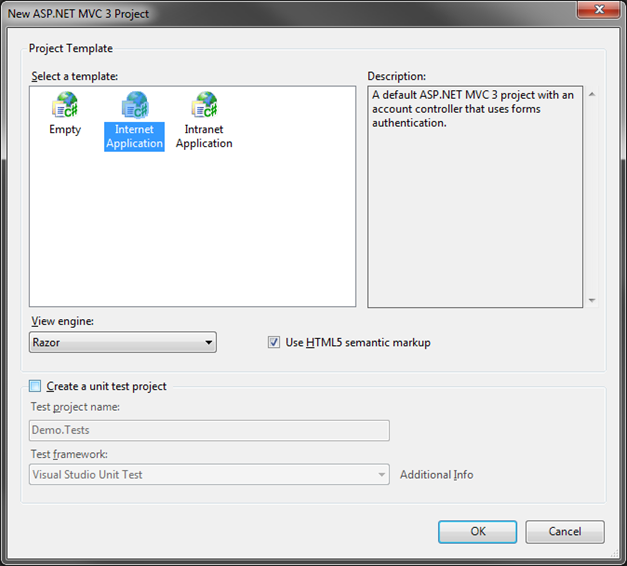 After some introduction to jQuery sessions we had yesterday the jQuery and ASP.NET, how to AJAX session. A few of the subjects that we handled are already on this blog. The rest of the subjects will follow soon. Until then here are the presentation and the demos of the jQuery and ASP.NET, how to AJAX session. 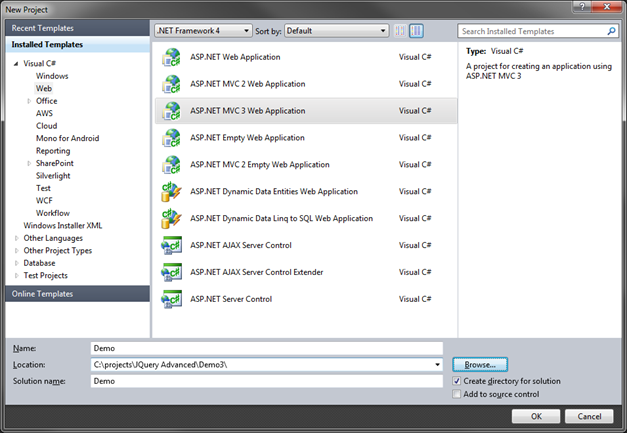 Keep in mind that the demos where focused on the technical implementation of AJAX calls to the different ASP.NET stacks. Therefor there has been no time spend on layout and presentation in the demos. 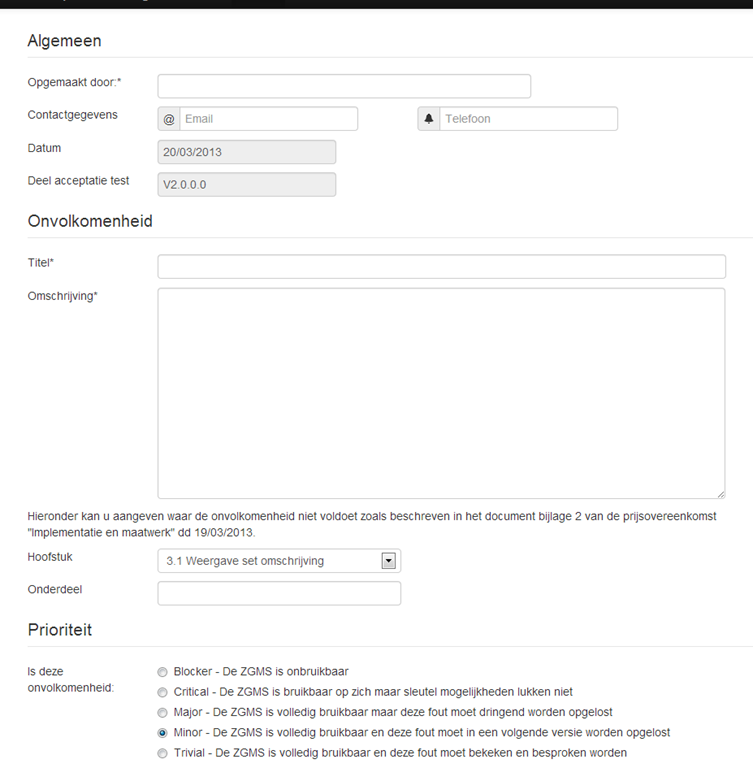 This entry was posted in .NET, AJAX, Development, jQuery, JSON, MVC 3, WCF, WEB API, Webforms on 29 March 2012 by Bart De Meyer.